This post is sponsored by Harmony Books. All thoughts and ideas are my own. Dinner time is complicated enough in a busy family like mine. I want to feed my family healthy, wholesome foods, and instill good eating habits in my growing children. But dinner time is also the time when I’m running to pick up kids from after-school sports, finishing up projects for work, and running low on energy myself. Some days I admit I’m tempted to grab something quick and not-so-good-for-us. This month, I was sent a copy of the brand new cookbook, Trim Healthy Mama’s Trim Healthy Table By Pearl Barrett and Serene Allison. Trim Healthy Mama’s Trim Healthy Table is published by Harmony Books and is available for purchase now! This cookbook is filled to the brim with family-friendly recipes that focus not only on making better choices in the kitchen, but also on the value of sitting down together for family dinner. I love “fixing up” old family favorites, and this book had page upon page of family-friendly dishes. 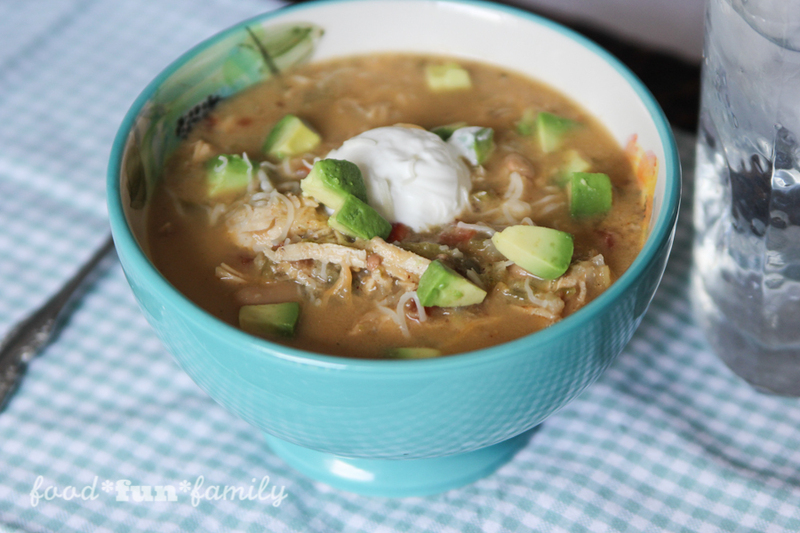 One of the first recipes that caught my eye was a recipe for Creamy Verde Chicken Chili – something totally up my family’s alley. We love Tex-Mex flavors! When I saw the ingredients list, I admit I was a little skeptical. 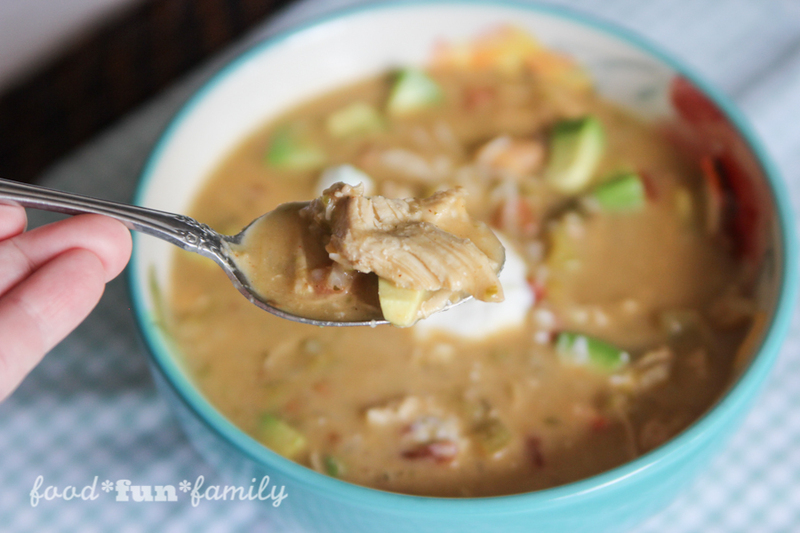 Okra and cauliflower in chicken chili? I was afraid my kids would turn their noses up at “hidden” healthy ingredients. After all, my kids are teenagers, so it’s not very easy to sneak anything past them! 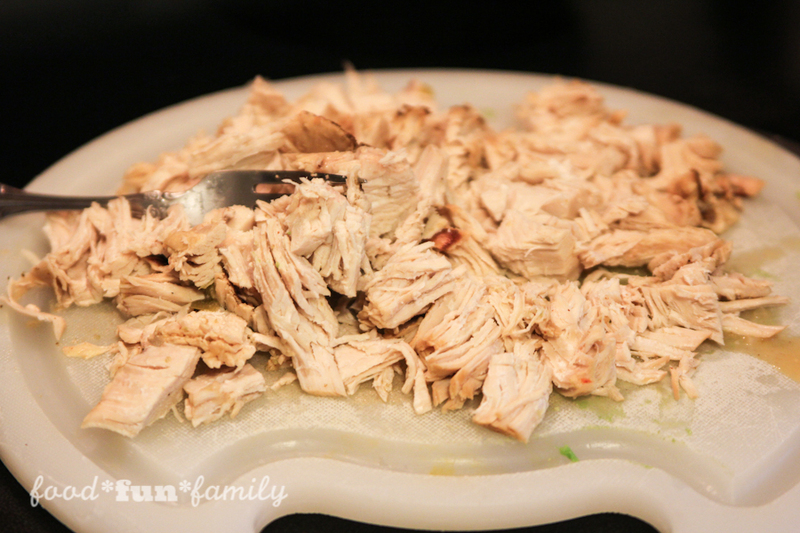 I was amazed at how easy this recipe was to prepare. 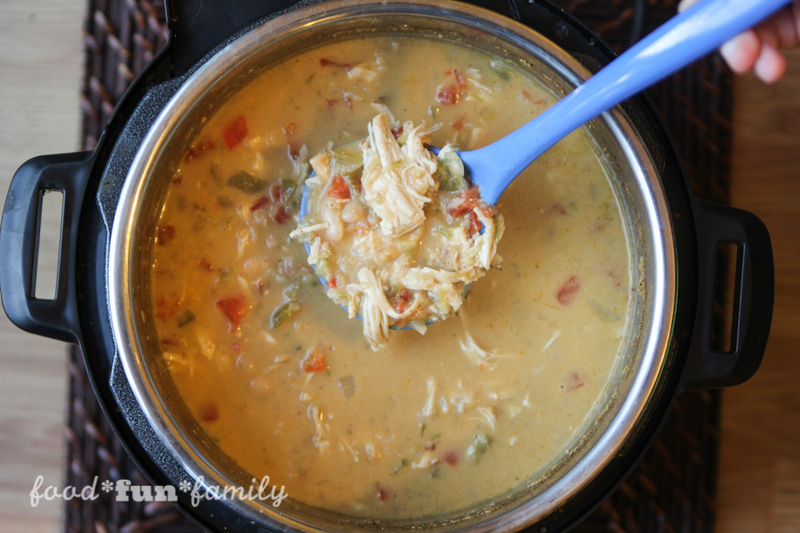 I put the chicken, salsa, beans, tomatoes, cauliflower, chicken broth, and seasoning blend* into my pressure cooker. Then I blended together the remaining ingredients and poured the mixture on top of everything. I closed and sealed the lid and turned the pressure cooker on. Then I waited while my house filled with the delicious smells of the Southwest. I was shocked when my kids started eating that they immediately began commenting on how delicious it was. And then I was even more startled when they all reached for seconds to fill up their bowls again. 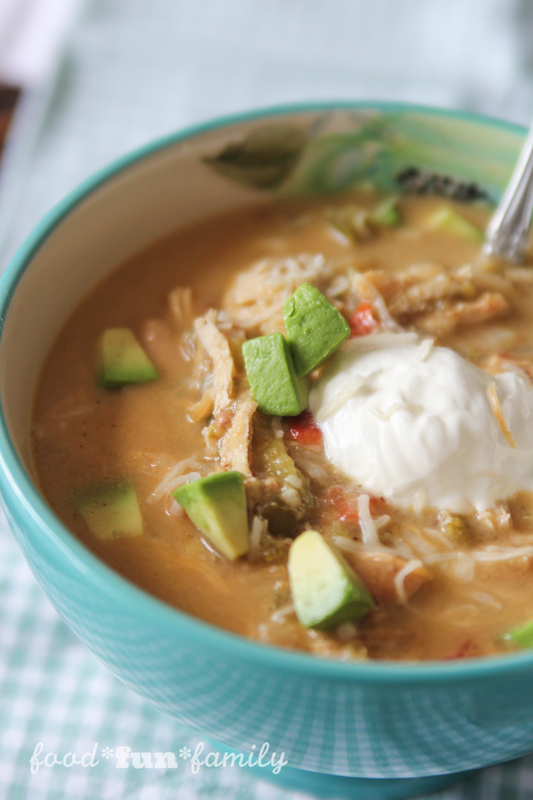 We will definitely be making this delicious chicken chili again in the near future. I can’t wait to try more of the recipes in this cookbook! I’m excited to try new ways to feed my family more healthy alternatives, while not sacrificing the time that we have together. *the frozen small-cut seasoning blend is found in the frozen vegetable section of your grocery store and contains diced onion, celery, and bell pepper. 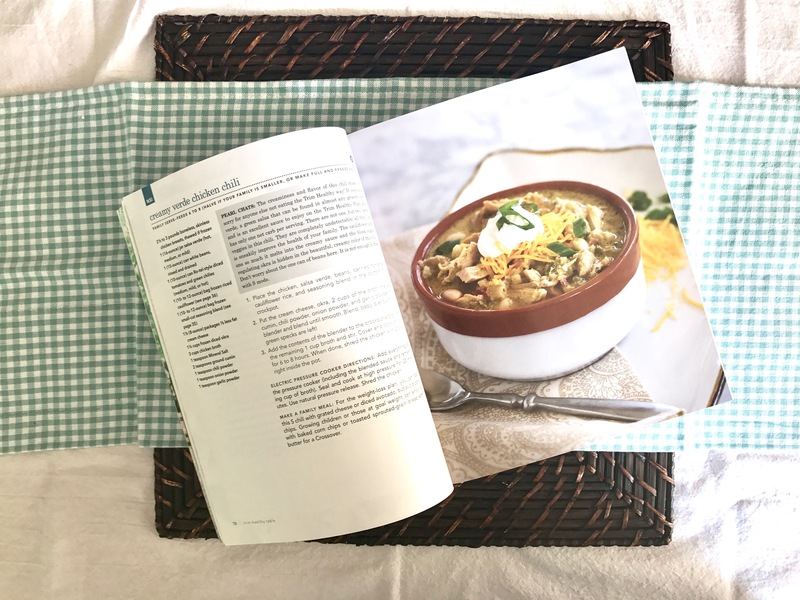 The Trim Healthy Mamas have helped hundreds of thousands of women lose weight and live healthier lives with their bestselling cookbook and eating plan and now they are ready to help the entire family! After experiencing incredible life transformations of their own, readers want to be able to help their families feel better and trim down, too.Trim Healthy Table is just the answer. It bursts with over 300 family friendly, delicious and trimming recipes, along with practical advice on how to healthfully nourish your family without going insane and chaining yourself to the kitchen. 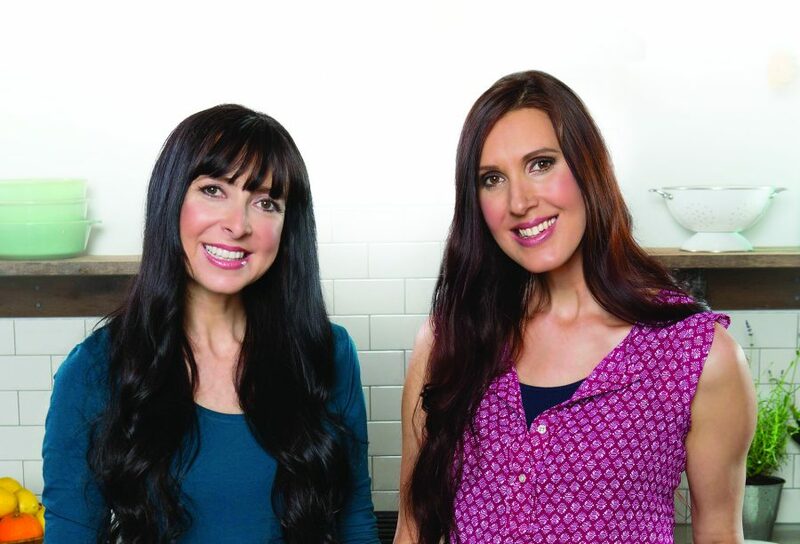 PEARL BARRETT and SERENE ALLISON are sisters who share a passion for healthy eating. They both have large boisterous families and love to experiment in the kitchen on ways to best nourish their families while staying slim and healthy in the process. They are former Christian recording artists who traveled extensively for the record label, but they relinquished their touring careers to embrace a life at home with children, dinners, dishes, and diapers. They never looked back. 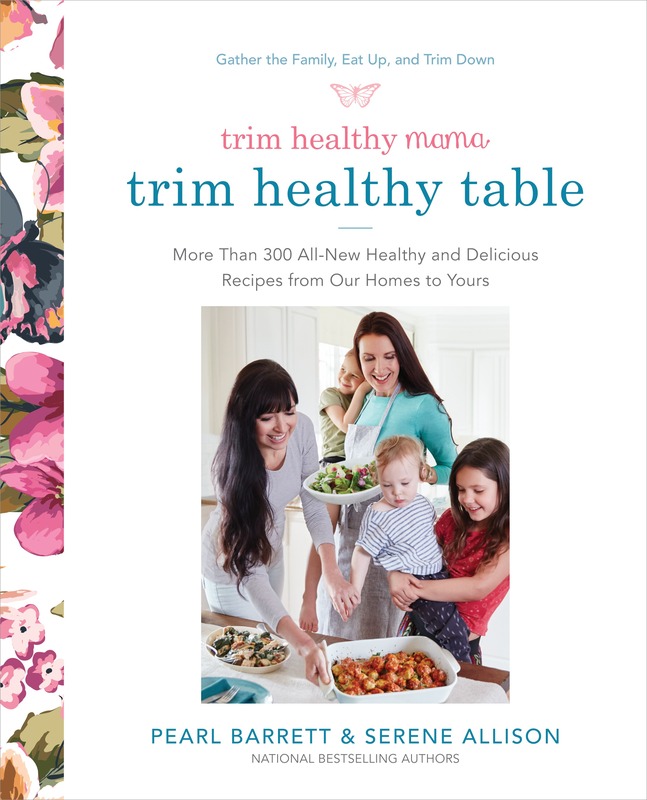 One lucky reader will receive a copy of Trim Healthy Mama’s Trim Healthy Table! Open to US residents only. Prizing provided by Harmony Books. This giveaway will end at 11:59pm ET on October 4, 2017, after which a winner will be chosen at random and notified via email. Good luck! 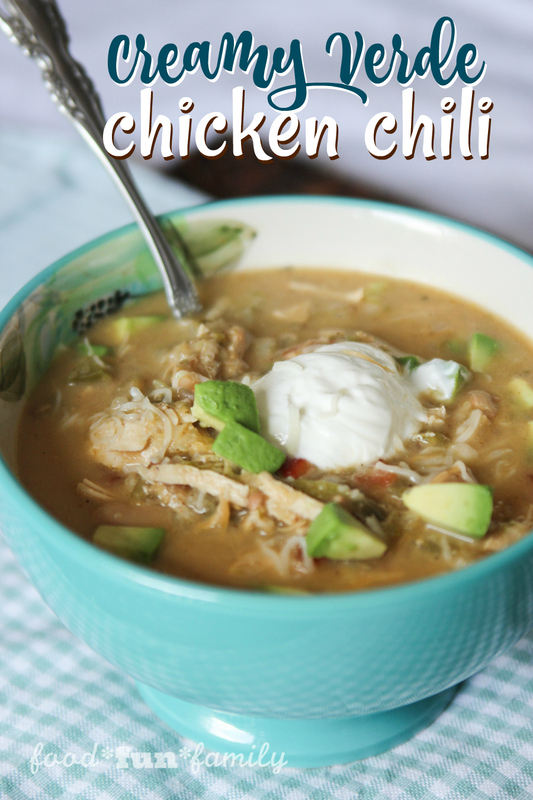 This chicken chili sounds and looks amazing!! Adding this to my to -make list! Delicious!! I’ve tried THM a couple times and I think it’s a great eating plan! I’ll have to get their new book for more recipes! We have a “eat what we eat or starve” rule here. Otherwise, my son would live on cereal and ramen noodles! I’m fairly lucky having kids that aren’t picky but some nights they just don’t want to eat… I’ve learned it’s a battle not worth fighting … they can eat if they’re hungry… if not, they don’t have to eat! My best piece of advice was to just relax and let my son eat the waffle he wanted as long as he first tried some of the meal I prepared. It’s hard to find healthy food that actually tastes good! So glad you found this! I found that when my children were active in choosing/finding recipes, they often ate better and many times helped prepare.